Built to Spill is coming to The Depot on July 27th! Doors: 8pm. 21+ Show. Reel Big Fish and Bowling for Soup are coming to The Depot! Doors: 7pm. 21+ Event. 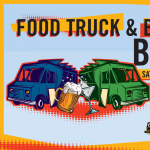 The top local breweries and food trucks will battle it out Saturday, Aug. 3, 2019 from 4-10 pm at The Gateway with expanded grounds with more food and beer! Don't miss out on a night psychobilly music with the Reverend Horton Heat when they return to SLC for a Fan Appreciation Show with guests Delta Bombers and Lincoln Durham at The Depot August 8th! Coming to Salt Lake City August 8-10, 2019! Fighter is a concept show about a phoenix rising from the ashes. The main message in Fighter is that our problems may never go away, but we can still lead meaningful, fulfilling lives by getting out of our own heads and help others. Fighter encourages the audience to fill it their lives with good, uplifting thoughts and actions. Fighter consists of original pop songs and spoken word pieces that are supplemented by dance numbers, tumbling, and circus acts. It is sure to entertain and inspire audience members of all ages. 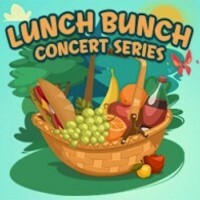 Free Lunch Bunch Concert Series. Eclectic collection of local bands, storytellers, entertainers, & more happening each weekday May 28 - August 30 at the Gallivan Center during your lunch hour. Hamilton is perhaps the most dramatic play of our time and Hamlet is often recognized as the most dramatic play of any time. But, put them together, and you may just have the funniest play of all time. That’s right! The Off Broadway Theatre is taking the plot of Hamlet and putting it to music in this hilarious Hamilton-esque parody. This is one the family will be talking about for a long time! Squatters Pub has been a staple in the Utah Craft Beer industry and we are celebrating 30 years of bringing good beer and food to Salt Lake City! This event will be a downtown beer festival like no other! Tickets will be available soon! Salt Lake City’s famous Italian Festival returns for its 5th year! Last year was a continued success with nearly 30,000 people coming to enjoy the sights, sounds, and tastes of Italy. The 5th annual Festival will be held at The Gateway on historic Rio Grande Street from 100 S to the Olympic Fountain Plaza. Highlights of the festival include 15 food vendors serving unique and authentic Italian food, non-stop performances by Italian musical artists, beer and unique Italian wine, and local and Italian artists. This is a non-profit festival with proceeds going to support charities including Catholic Community Services. 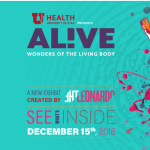 Sponsored by Alfa Romeo Salt Lake City and Salt Lake County ZAP (Zoo, Arts, & Parks Program). We have been performing short form improv comedy at the historic Off Broadway Theatre in downtown Salt Lake City. Laughing Stock Improv Comedy is a mainstay at the OBT performing for 24 years entertaining people of all ages around Utah and some our neighboring states. Our troupe travels to any venue to entertain company events or high school senior nights! We're here every Friday & Saturday night at 10 PM. Presented by Clark Planetariums, LEGO® Mindstorms® is a STEM-based program with hands-on activities that explore our world through simulations of robotic missions. Participants will build robots, collect and analyze data, and solve problems as a group. This program is geared toward teens, but is family and kid friendly. Kids younger than eight years of age may need parental assistance. Space is limited to 20 kids. For a list of upcoming days, times, and library locations, click the event link.